One of the most common benign lesions of the skin is flat warts. They often appear in childhood and adolescence. 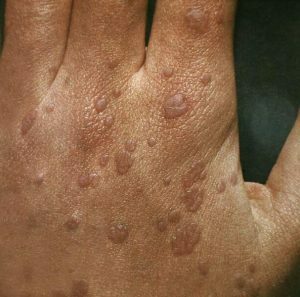 This type of warts occurs after the human papilloma virus has entered the body, which may not manifest itself for a long time. Its complete cure is impossible, which contributes to the recurrence of the disease. Flat warts in children often develop against a background of reduced immunity, beriberi, prolonged hypothermia, and emotional overstrain. Also, the influence of insect bites and mechanical skin damage on their development can become the reason. In order to identify whether you have flat warts, you need to differentiate them. This is possible if knowing how a flat wart looks like and how it manifests itself. Learn more about flat warts to know what it is and how to get rid of this kind of unwanted problem. The development of flat warts begins with the appearance on the surface of the skin of a knot with a flat apex, which somewhat rises. Sometimes, they have a brownish or pink hue. They differ in the absence of a skin pattern. 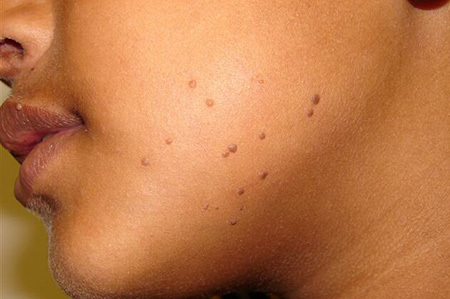 Often, flat warts on the body appear in groups, without merging with it. Their appearance is accompanied by a slight itch and discomfort, which cannot be compared with the cosmetic side of the problem. Flat warts on the face are extremely worrisome to patients, which is why they try to consult a doctor as quickly as possible. It is also possible to localize them in the area of the lips and external genitalia. Often, you can see flat warts on the hands. Only the dermatologist can diagose this type of a wart. For this purpose, an external examination, dermatoscopy, and if necessary histological examination and PCR diagnostics are carried out. Flat wart treatment requires a special approach, which involves preliminary differential diagnosis with other types of formations. If flat growth is manifested in a child, in most cases this is due to the hormonal reorganization of the body. After such a disease, the immune system develops in children, and in the older age it is virtually eliminated the reappearance of such flat growths. There are other reasons that give impetus to the formation of this kind of warts. Other factors that reduce immunity. 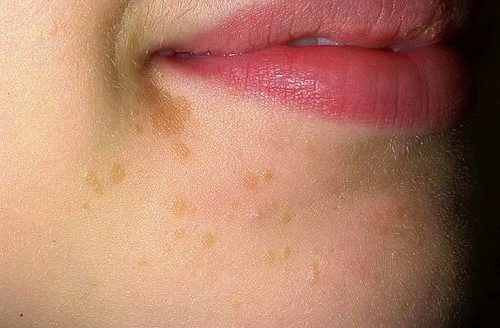 In adolescence, due to hormonal changes in the body, the skin sebum is released, and in excess, which leads to the appearance of acne, pustular formations and other changes that stimulate the development of human papillomavirus. The First: The formations are round or oval, protruding above the skin not more than 2 mm. The Second: The color of the growths can be bodily, pink or yellow with different shades. The Third: Sometimes, flat warts cause their desire to scratch them. The Fourth: Usually, their size is not more than 3 mm, extremely flat warts on the body reach 9 mm in diameter. The Fifth: The warts can be formed in groups and can scratch. It is more difficult to treat flat warts of this kind. The Sixth: Flat warts are called juvenile ones, since they are almost non-existent in people over 40 years of age. They also do not form on the palms and soles of the human legs. Usually the diagnosis is based on a visual examination. If there are signs of zeal, then a scrap or biopsy of education is performed. PCR diagnostics can be used to clarify the type of virus. In this method, the type of viral DNA is determined. But this way is expensive and is used quite rarely. Antiviral drugs. 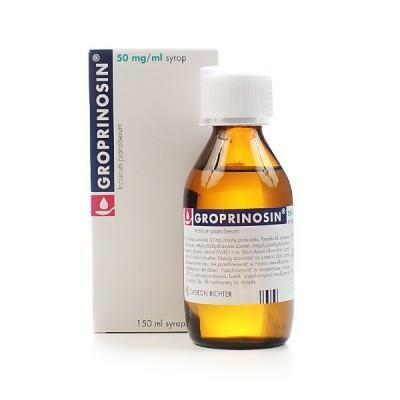 These include: isoprinosin (Gropinosin), Allokin-Alpha, especially Panavir is often prescribed as a gel. Immunostimulants, which should be purchased only after consultation with the immunologist. Popular means include: Polyoxidonium, Immunul, Imikimimod, Roncoleukin, as well as various vitamin complexes, for example Alfavit, Komplivit or Centrum, Penetovit, Hexavit, etc. Destruction of warts. There are three ways: Laser grinding, radiowave surgery, destruction of warts by cryodestruction, surgical excision. It should be noted that flat warts often pass on their own in a few years. If the wart is not resolved by itself and provides the patient with significant aesthetic discomfort, then it is necessary to remove it. In this case, it is not recommended to get rid of the wart by yourself. 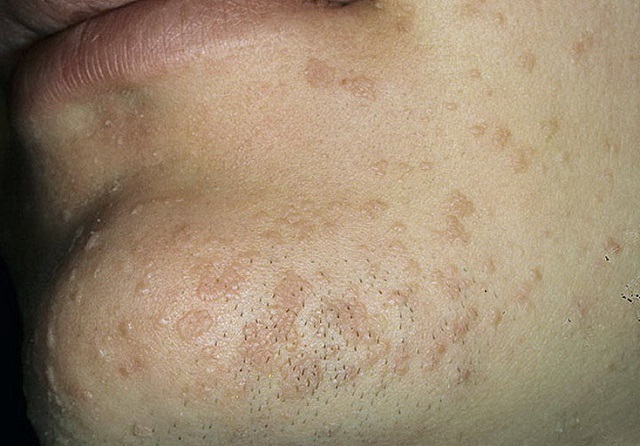 Treatment of flat warts on the face requires direct observation made by a physician, since with their independent removal, the appearance of undesirable scar tissue is possible. The doctor appoints the treatment scheme individually for each patient. For this, antiviral therapy is prescribed and the most gentle method is selected to effect the removal of the warts. Each localization has its own characteristics and requires competent consultation of a doctor! The most commonly used method is cryodestruction and laser coagulation. Laser treatment is easy to perform and quick healing. After removal of flat warts, there are no rasping scars left on the face. These operations are considered by many specialists to be plastic. Flat warts on the arm can be removed with electrocoagulation. Flat warts on the neck should be removed as quickly as possible, since the child can easily injure them. There are a number of natural methods, which must be treated with extreme caution because of possible frequent complications and provoking the growth of warts. Reviews flat warts after their removal are exceptionally positive. Everyone knows that it is better to prevent than to treat the disease. The prevention essence is to prevent the infection of the human papillomavirus virus, to observe the rules of personal hygiene. Dermatologists recommend to constantly increase the level of immunity and monitor your lifestyle to avoid the appearance of unwanted flat warts. Flat warts are found on the face, lower extremities and hand bristles on the back. The location is vital for the identification of the way of treatment. Warts located on the face are especially annoying, as they also create a cosmetic defect. Removal of the warts should be done as accurately as possible so that after the treatment there are no scars left. 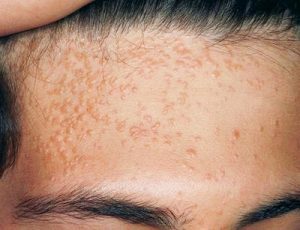 The best way to treat flat warts on the face is to remove laser or radio waves, since they practically do not damage the skin and do not leave scars. Electrocoagulation and cryodestruction are not highly recommended, so scars and burns after these procedures occur quite often. You should not try to get rid of flat warts on your own, since the pathology in the epidermis can only worsen, especially dangerous is the cleaner. It is also better to exclude infusions and ointments cooked at home, most of which include aggressive substances for the skin. The growths are formed in the back of the wrists and fingers. The painful sensations of the process do not cause, but itching may appear. As the skin on the upper extremities is denser than on the face, there are more ways to remove flat warts. Cryodestruction and surgical excision are recognized as the most effective, because through them the educated education can be completely removed in one procedure. But doctors, as well as the hospital, where the operation will be performed, must be carefully selected – if the freezing is too deep or the excision is performed inadequately, education can only grow. Destruction of formations with the aid of a laser or radio waves is carried out in several procedures, since the endings in the processes are located deeply. How can I get rid of flat warts in my arms faster? In the intervals between procedures, it is necessary to take antiviral drugs. It is forbidden to damage warts on the hand and other parts of the body as it can provoke reproduction of bacteria and the number of warts will increase! How to Deal with the Flat Warts in Children? Flat warts occur in children. Categorically, it is not recommended to use invasive methods in removing the delivered formations in children. How to treat these growths? The immunity should be strengthened in the following way: take vitamins, change the diet and the diet, conduct hardening, do exercises and exercise, and also often go for a walk. If the methods used did not help, it is worth to turn to the dermatologist. He may prescribe chemotherapeutic agents that should be used externally. Self-medication is strictly forbidden, as it can provoke irritation, and cure an allergy is much more complicated. Treatment with liquid nitrogen, cryodestruction and laser is contraindicated until the child is 12 years old, since the child may have a burn or even a scar for life. It is better to use conservative methods of treatment, a good remedy is Panavir. There is a way to carry out chemotherapy for children through a solution of 8-methoxypsoran, and the growths are treated with a dasg dot. And after half an hour the sensor with an ultraviolet is fitted to the place of defeat. The operation does not cause special painful sensations, scars do not remain after it. After two procedures the wart may get a bright shade. In order to heal the growths, you will need 6-10 sessions completely. The treatment in kids is carried out by a dermatologist and a pediatrician. Next PostSenile Warts: What Is It and How to Get Rid of It Effectively?